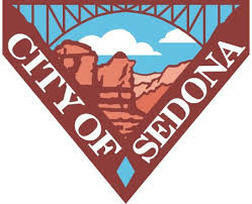 City of Sedona issued a proclamation declaring November 13th, 2017 Sedona Kindness Day. It is in recognition of the historical value and international commitment to observing a day to celebrate Kindness. In 2016 year we celebrated with more than a week of Kindness activities designed to engage the entire community. It was such a success that the City of Sedona again declared November 13th, 2017 Sedona Kindness Day. It was a huge success! 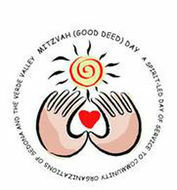 Men, women, families, kids, teens, seniors, in fact everyone participated in this community-wide intergenerational, interfaith, spirit-led day of community service to organizations and neighbors in Sedona, Cottonwood, VOC and surrounding communities. 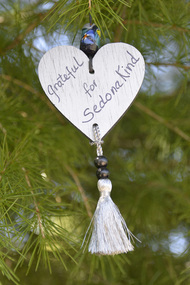 Gratitude Trees: Were back again by popular demand, They were requested for a second year at The Collective, the Sedona Community Center, the Oak Creek Golf Club, the Children’s Room at the Library, and at West Sedona School and Big Park School. ​The ones at the schools last year were filled with thanks for family, friends, food, a house to live in, even thanks for a little brother! Showing gratitude is one of the simplest yet most powerful things humans can do for each other, so please take part in this meaningful activity. The trees will be up throughout the Holiday season. Thanksgiving is after all a word of action, and what could be better than to start each day with a grateful heart. SedonaKind was proud to partner with the Sedona International Film Festival to present the encore of the multiple award-winning film “Perfume War” on Monday, Nov. 13 as part of the Sedona Kindness Day celebration. There were two shows at 4 and 7 p.m. at the Mary D. Fisher Theatre. The ticket price was a donation of $5 with proceeds to benefit VFW Post 7400, providing veterans programs and assistance in the Verde Valley (including housing assistance, legal advocacy, counseling, PTSD relief and more). The first showing was sold out and the second show was nearly full. Our viewers were extremely generous and and VFW Post 7400 extremely grateful. This year the assemblies took place the week of October 30th and the culmination of the acts-of-kindness challenge ended on the nationally designated Kindness Week. We anticipate making an impact on all our area youth with this program. The Students collected food for the Sedona Food Bank and delivered it during a rally at City Hall. Sponsoring the Think Kindness program for the second year was a great joy for SedonaKind and our Kindness in Schools (KIS) program. Partnering with Rotary this year made it possible to have the program at every school in Sedona, and we are so thrilled. Imagine all the acts of kindness that will bounce off our Red Rocks. The KIS committee is also going into West Sedona School each month with their special Kindness Library, reading to the children, doing puppet shows and craft activities. Special thanks to Larry Kane ​for these wonderful photos!